Check the side profile of the ply, the edges. The layers on the side profile of plywood should be running straight. Since plywood is a engineered wood panel made by pressing layers of thin wood veneers together, its the construction/ composing of these layers on top of each other which determines the quality of plywood. The core layers should be visible as straight lines without gaps/holes and much overlapping between layers. These layers of core are not one whole sheet of 8×4 size but of smaller 4×2 or 8×2 sizes which are joined and then composed on top of each other at right angles. Therefore there are bound to be some minimal amount of core gaps or overlapping which are acceptable. A couple of core gaps or overlappings of 1 – 2 mm per layer is acceptable but anything exceeding that may compromise the structural integrity of the plywood. Have the seller cut a piece from a sample sheet(most good dealers already have cut sample sheets for display) to see if the core lines visible on the outside are also congruent inside. There may be some core gaps and overlapping involved and thats okay since plywood in India is still largely a manual process but if there`re more than 2 -3 core gaps & overlappings, you should probably abort. Higher the weight of the ply, better its density, and therefore better its strength and performance. A normal full red core plywood of Eucalyptus timber make should weigh 39+Kgs for a 19mm 8×4 Plywood Sheet. A alternate grade plywood made of alternate layers of Eucalyptus and Poplar timber should weight around 32+ for a 19mm 8x4ft Plywood Sheet. MR (Moisture Resistant)(IS – 303) – Made with Urea Formaldehyde Resin, this is the most basic grade of plywood. If it qualifies the tests given above, it is more or less MR Grade Ply atleast. BWR (Boiling Water Resistant)(IS – 303) – Made with Melamine Bonded Urea Formaldehyde Resin, its more resistant to water than MR Grade. A little darker than MR Grade appearance wise. Take a sample and submerge in boiling water for 8 hours or in a pressure cooker for 1 whistle. Cool down by submerging in normal temperature water. If the ply layers delaminate, its not BWR Grade and vice versa. BWP/Marine (Boiling Water Proof) (IS – 710) – Made with Phenol Bonded Resin, this ply is manufactured to be completely water proof. Usually dark brown/dark chocolate in colour. Take a sample and submerge in boiling water for 72 hours or in a pressure cooker for 7 whistles. Cool down by submerging in normal temperature water. If the ply layers delaminate, its not BWP Grade and vice versa. Now manufacturers all over India have devised a new way of fooling customers – they dip their MR ply in dark colour which gives it a look of BWP ply and then sell it at a much higher rate under the name of BWP Grade ply whereas it`s not. The only way to test it is to take a sample of this Marine Grade Ply, put in boiling water in a pressure cooker and wait for 7 whistles. Post that if the core layers split up, its not a BWP grade ply. Prefer Eucalyptus made plywood over Poplar or Gurjan timber made plywood. Poplar is much softer and weaker than Eucalyptus and is generally susceptible to Borer & Termite Infestation. There is an Indian myth that Gurjan is the best wood for plywood which falls through when you take into consideration Cost vs Performance vs Environmental Impact. 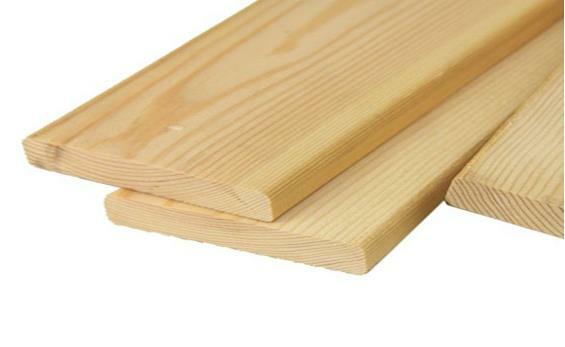 Performance : Eucalyptus made plywood has identical strength, density & performance capability as a Gurjan made Plywood. Poplar made plywood has inferior performance levels than both. Environmental Impact : More important reasons for choosing Eucalyptus over Gurjan is the fact that Eucalyptus is a fast growing timber species which is cultivated and grown at managed forests and therefore do not contribute towards any deforestation. On the other hand Gurjan is a slow growing timber species usage of which directly results in deforestation and therefore is NOT Sustainable. Cost : If that wasn`t reason enough, Gurjan made plywood is atleast 50% more expensive than Eucalyptus made Plywood as Gurjan Timber is now only imported from Burma or Laos (Most of the Gurjan forest in India is exhausted). So instead of buying really expensive Gurjan Ply, we suggest choosing Eucalyptus core. You can easily spot whether a Plywood has Gurjan timber or Eucalyptus timber in its core. As shown in the picture on the right, Gurjan timber generally is reddish brown and darker in colour than Eucalyptus, plus it has a granular texture as highlighted in the picture while Eucalyptus has a much more smoother finish. 90% of the plywood is the Indian market is sold under the name of Gurjan Plywood while only about 20% of them actually contain Gurjan Timber. The face grain/look of a plywood doesn`t matter as they have absolutely no role to play in structural integrity, instead its just pure aesthetics. However as a rule of thumb, good quality manufacturers use good quality Gurjan face veneers which deliver a high quality finish to the ply. However, on the off chance that the outside face finish is not upto the mark due to any reason, it doesn`t mean the underlying plywood is also bad. Most if not all interior designers or carpenters use a laminate or veneer to cover the plywood exposed surface, so it doesn`t really matter how it looks on the face. Manufacturers can easily serve you a real bad plywood decorated with a shiny face veneer to get a higher price. Therefore don`t judge a plywood by its cover! What matters is that the side profile and whats inside, so look deeper! Looking for ideal Professional Inspection Quality For Plywood Manufacturer & supplier ? We have a wide selection at great prices to help you get creative. All the Third Party Inspection For Plywood are quality guaranteed. 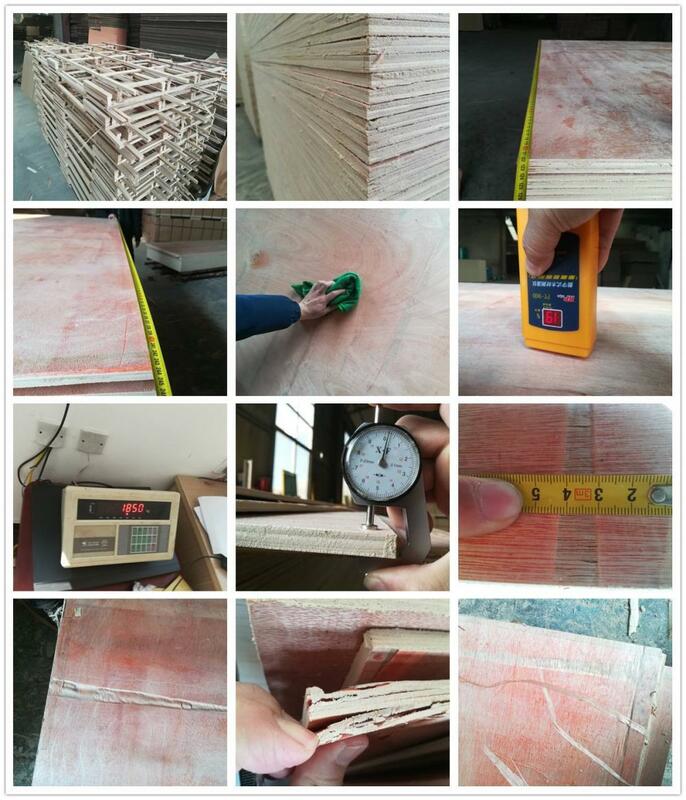 We are China Origin Factory of Final Random Quality Control for Plywood. If you have any question, please feel free to contact us.